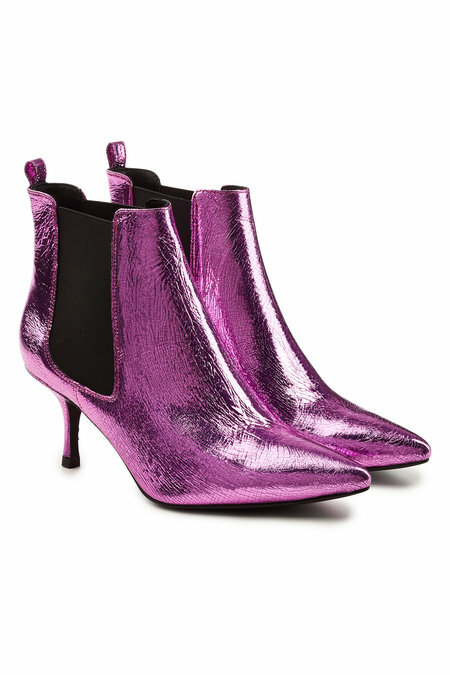 The core of any winter wardrobe as they work with everything from dresses to jeans , so take your pick from classic black high heeled ankle boots to sparkly, shiny, glittery,glam ankle boots to add some fun when you’re in your all black winter wardrobe. 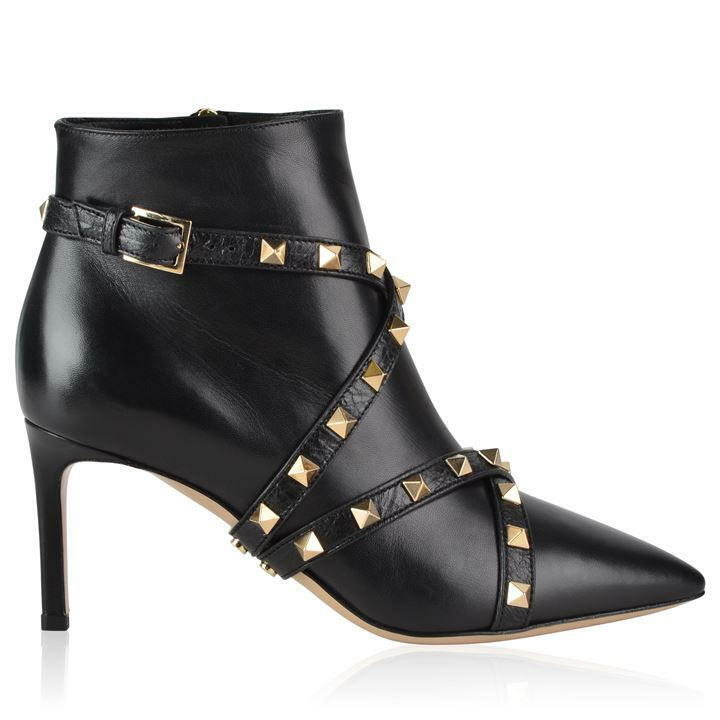 Opt to Valentino GARAVANI for iconic footwear with these Rockstud pointed boots. 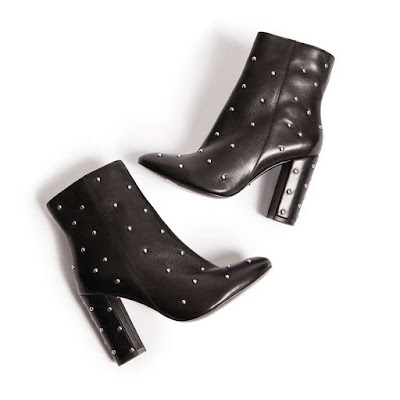 Crafted from a smooth leather, these statement boots feature the brand's iconic Rockstud embellished straps adorned to the upper, a pointed toe and a stiletto heel making them a style not to be missed out on. Christian Louboutin knows what works when it comes to its iconic heels – and that goes beyond its signature lacquered sole (though of course that’s present and correct as always). 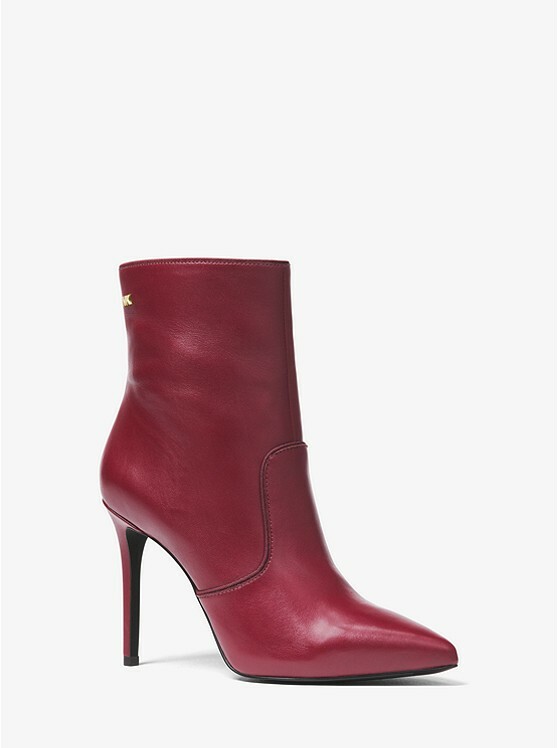 These Eloise boots are cut to a similar silhouette to the brand’s pumps of the same name, with a sleek pointed toe and high stiletto heel. Take care of their supple suede because you can bet on this versatile pair carrying you through several seasons to come. 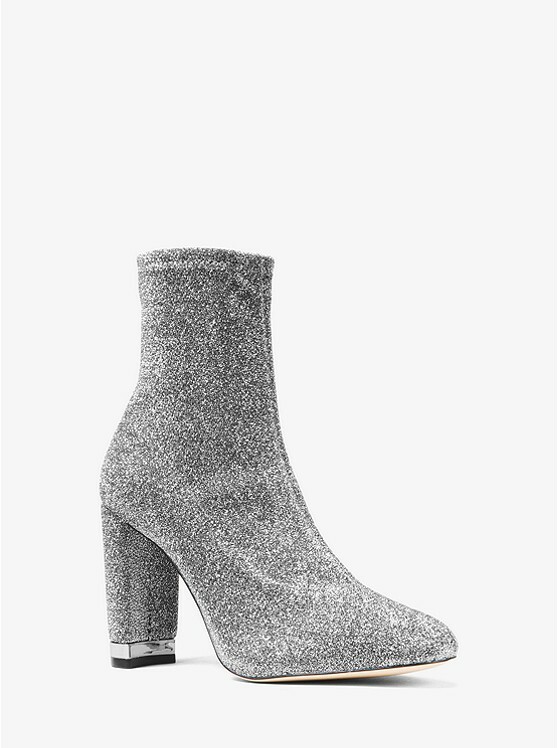 Silver ankle boots from Mulberry’s ‘Opera’ collection with the range’s signature gold-tone mirror-effect block heel. Constructed with metallic-effect nappa leather, the heeled boots feature a round toe with a stitched toe cap and a zip fastening to the inner foot. Timeless and sleek, the boots are detailed with a leather sole and tonal stitching. 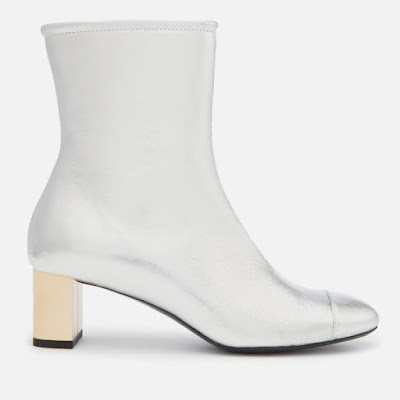 Rocker chic with a refined twist, these crackled metallic leather ankle boots from Anine Bing are a cool statement next to love-worn denim, second-skin leather or thigh-high mini skirts. Mirror-shine purple gloss keeps them super contemporary while the black elasticated panels make them a comfortable pick. The key to elevating your wardrobe is easy—enter the Blaine ankle boot. Set on a stiletto heel, this ultra-chic pair is made from luxurious leather and finished with a miniature logo detail. Wear them with midi skirts or raw-hem jeans. 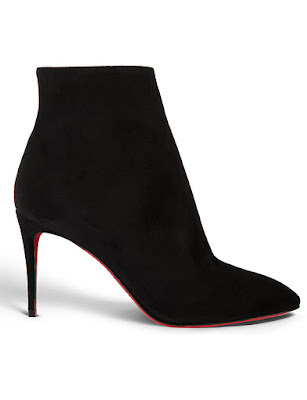 Secure your own take on the sock-boot trend with Barbican from Kurt Geiger London. 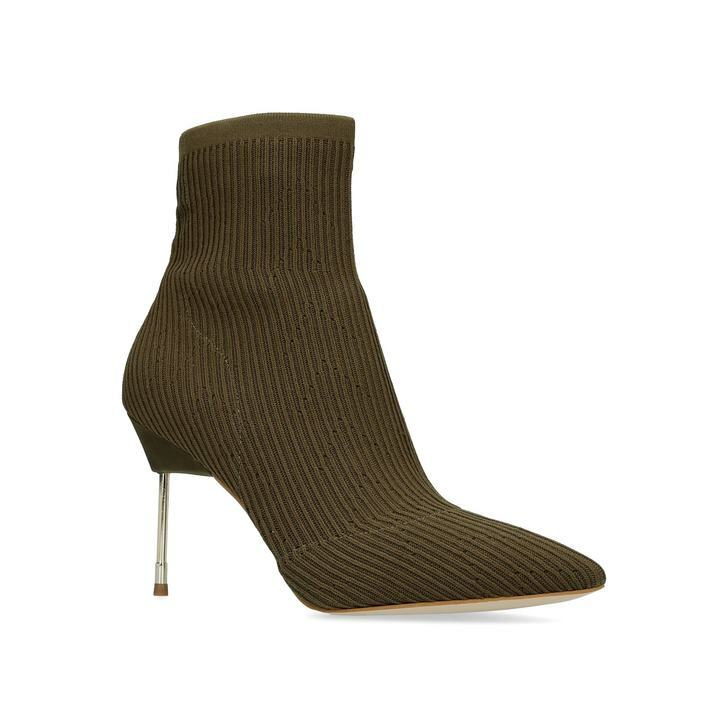 This khaki ankle boot gently wraps the foot with its relaxed stretch fabric construction, and sits on a 90mm cigarette heel for a luxe style injection. 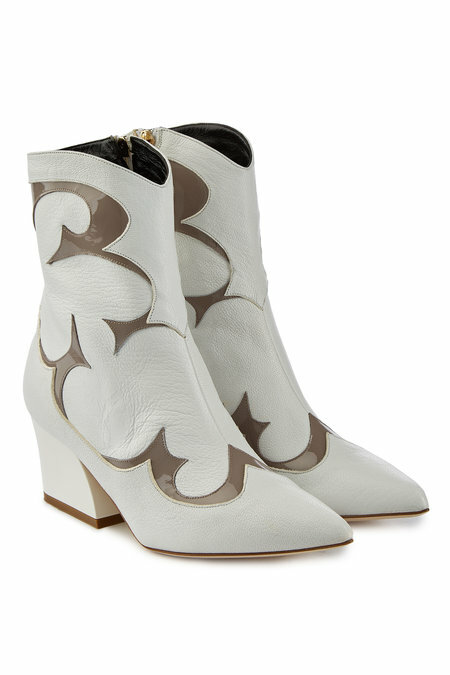 Every girl should own a trusty pair of ankle boots, but though versatile, rest assured that this Sam Edelman pair are anything but boring. 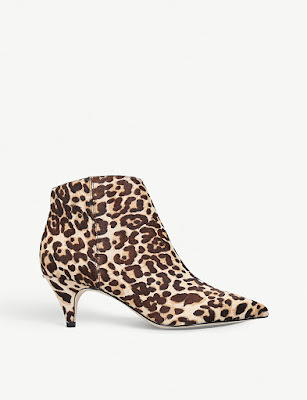 Made from leopard-print pony, it's in the way that they are cut that makes them so special, note the fine pointed toe that balances with the heel and western-style cuff which tapers in slightly for a flattering finish.